I am fortunate. I get to walk on the beach every morning! Among the treasures we find, none are as cheery and colorful as jingle shells. They are so named because artisans have long been assembling them in to lamp shades and wind chime curtains. When you shake them they truly do jingle. Their scientific name is Anomia simplex. They also go by “Neptune’s toe nails” or the amusing misnomer “Mermaid’s toe nails”. Another name is “Saddle Oyster”, which indicates that Anomia are related to oysters. However, Anomia taste bitter and are of no commercial value. They are found along the entire Atlantic sea coast from Nova Scotia to Brazil. A hardy species it seems. Anomia are mollusks (within the group of bivalves) that attach themselves to a surface by means of the ‘bysuss’, a tuft of calcified fibrils that penetrates through a hole in the lower valve to adhere to the underlying surface (see Figures1,2). Figure 1: Yellow and orange Anomia adherent on a beach stone and Anomia with inner valve attached depicting the hole for the bysuss. This may be a large clam shell, a rock, or another hard surface such as logs, wharfs or boats. 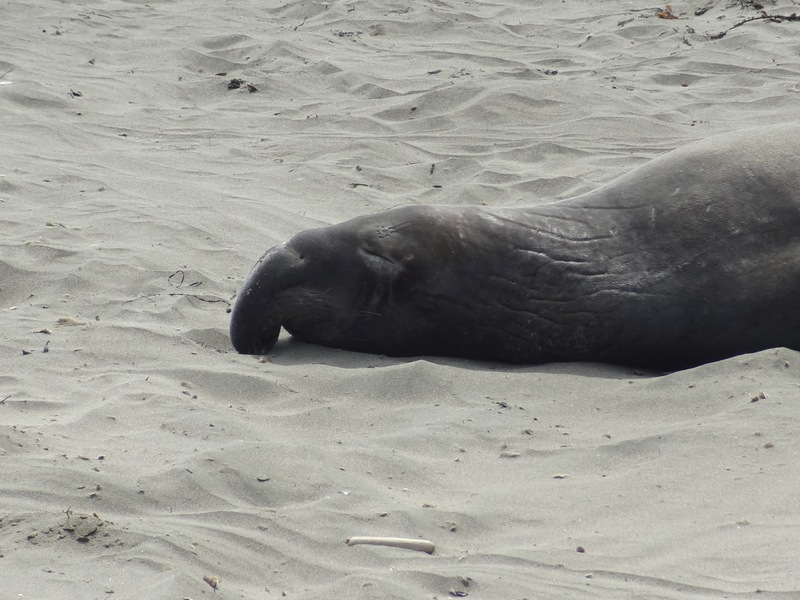 They live in shallow waters often close to the beach, in a bay or estuary. The upper valve is brightly colored, either a shiny yellow or orange. Shades of silvery grey and black are present when Anomia are submerged in the mud and silt at the sea bottom. Interestingly, the lower valve is white, light grey or colorless. Is the bright yellow or orange color perhaps dependent on light filtering through the shallow waters? Is the purpose of the color to protect against a predator such as oyster drills, starfish and crabs (which are collectively referred to as boring gastropods). This seems unlikely as predators are supposed to find their food by scent not sight, as pointed out to me by Paul Monfils. Figure 2: Two Anomia adherent on a beachstone. 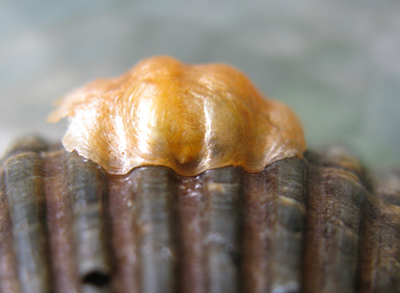 The orange upper valve has detached revealing the lower valve and the adherent mollusk. 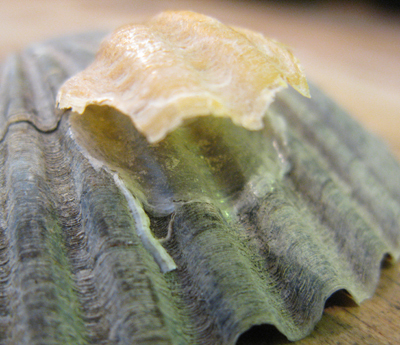 Anomia shells are extremely thin and paper-like such that they are often translucent, thus easy prey, one would think. 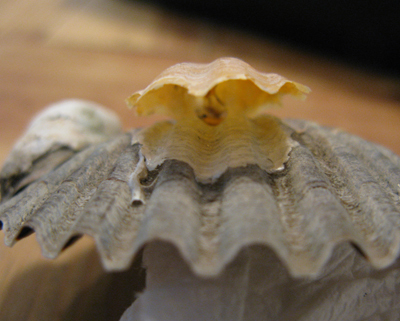 Small holes are frequently found on the upper valve usually placed just where the animal is situated at the top of the shell. These small holes look like the mark of a predator, but they are by no means present on all shells that wash up on the beach. These animals must die of other causes too. Personally I am most interested in their color. Why either yellow or orange? And how do these bright colors serve to enhance survival of this species. Figure 3: Bright yellow and orange Anomia simplex adhering on a beach stone. 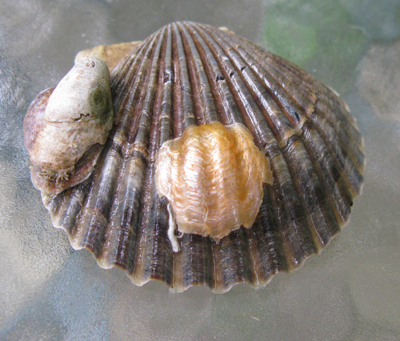 Figure 4: Several Anomia simplex (5) of different colors and slipper shells (6) all adhering to a single large clam shell. Anomia collected from different locations may have different colorings. Anecdotal evidence (courtesy of Steve Rosenthal) has it that Anomia collected from western beaches of Long Island are less brightly colored than those from the eastern beaches. And pictures of Anomia from Florida beaches (http://www.squidoo.com/seashell-identification) reveal many shades of silvery white and grey and black, that seem much less prevalent on our beaches. Thus location and habitat my affect coloring. 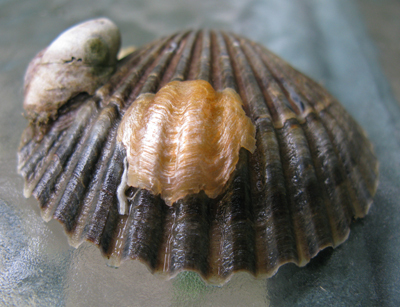 Different colors and patterns on scallops and mussel shells are genetically determined. Therefore it is likely that the yellow and orange colors of Anomia could also be genetically encoded. Since Anomia can be bred in the laboratory I would like to know whether all offspring of yellow Anomia are yellow and those of parental orange color remain orange. The enigmatic question of how the color helps this organism survive could be experimentally addressed with laboratory experiments in which selected predators are added in a controlled way. In the meantime I will continue to walk the beaches and collect Anomia to make ear rings and other colorful jewelry (Figure 5). Out here these shells are quite familiar and are collected by many beach goers. They remind us all of hot summer days on the beaches of Long Island. Figure 5: Jingle ear rings with yellow pearls, with hematite, with green onyx and with turquoise beads (from left to right). For more on Jingle Shells click here. 1) Partial Metamorphosis in Anomia simplexAuthor(s): V. L. Loosanoff. Science, New Series, Vol. 133, No. 3470 (Jun. 30, 1961), pp. 2070-2071. 2) Genetics of shell color in mytilus edulis l. and the association of growth rate with shell color. Gary F. Newkirk J. Exp. Mar. Biol. Ecol., 1980, Vol. 47. pp. 89-94. 3) Comparison of the composition of fossil and recent mollusk shells. Pilkey OH, Goodell, HG. Geological Soc of Amer Bulletin, 75:217-228, 1964. 4) A Jingle (Shell) in Your Pocket, By Patricia B. Mitchell.